When you think of renting a car. There are many makes and models, which come to your mind and you probably get confused and mixed suggestions and advice. Once you select a make, then comes the question of which model you should get. Everyone makes a variety of models, which are suitable for everyone’s requirements or needs. But still, there are still some characteristic differences in-between each make and mode. The word Hyundai means ‘modernity’ in the Korean language. As the name delineates. It is safe to say that even since the beginning. Hyundai has been known to make its cars according to the needs of the modern world. Hyundai has been making innovative and modern cars progressively, both mechanical and interior wise. Hyundai has planned and fabricated an assortment of appealing and safe vehicles. Hyundai, throughout the years, has been able to be recognized for its affordable vehicles, sports vehicles, convertibles, compacts, and family vehicles. Every one of these vehicles gives an exceptional mix of dependability, class, security, eco-friendliness with eye-striking looks and style which makes this brand a standout amongst the most mainstream on the planet. Hyundai always focuses on safety, comfort, features, specifications and reasonable prices. All over the world, Hyundai is recognized as one of the best. We at Classic towncar services, pride ourselves of having the best and the most professional staff available anywhere. Our staff starts to assist you from the time you call us to book our service until the time you reach the end of your journey. We have a very large fleet of vehicles available to suit your every need and requirement. Our staff is always there to help, assist and guide you to choose the ideal vehicle as per your requirement. In our large fleet, we have the famous Hyundai Genesis. This vehicle is ideal for you if you are looking to simply go for a long relaxing drive alone or with friends or family. When you rent Hyundai Genesis, you are in guaranteed an experience of rich luxury. Whether you decide to drive the vehicle yourself or select the option of renting the Hyundai Genesis with our chauffeurs, you are guaranteed for a premium luxury car experience. The Hyundai Genesis comes with a rich leather interior, excellent sound system, and heated front seats. This is one of the ideal choices for you if you are thinking of taking a long, relaxing drive. The Hyundai Genesis also has lots of leg and headroom. It also offers a decent amount of luggage space. In spite of the fact that the Genesis Hyundai car rental looks like a hot import sports vehicle, Hyundai Genesis gives the feel and power of a muscle car. The power of the Hyundai Genesis is one of the solid buying or renting factor of the vehicle. Hyundai Genesis Hyundai car rental is developed with the Hyundai Bluelink framework. Which means that despite the luxury car like comfort, hot sports car looks and muscle car power, you still get good mileage and modern equipment like you can write and send a text message via the infotainment screen and get a theft alert. At Classic towncar service, we have a vehicle for all your needs. If you planning a relaxing long drive trip on the road, we have luxury cars for you to choose from. If you are planning a trip with a larger group of people, family or friends, and plan to go somewhere where there may be no tarmac roads or roads at all. We have you covered there as well. We have the latest and greatest Chevrolet suburban rental. The Chevrolet Suburban is regarded as one of the best go-anywhere vehicles. The all American Chevrolet Suburban has many features. It consolidates the utility of a truck, flexibility of an SUV and conveniences you would expect in a luxury vehicle. The Chevrolet Suburban is furnished with the top of the tier V8 with mileage of 12 - 13 L/100km. Once you are in the Chevrolet Suburban, you are confident that you are in a rough and tough vehicle, which will take you anywhere you want to go with meeting all the needs of your family or friends. 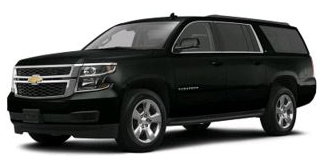 The Chevrolet Suburban can easily accommodate 7 to 8 passengers with enough luggage capacity of up to 6 large bags. We at Classic towncar service, recommend the Chevrolet suburban rental if you are planning to take a large number of people on your trip. The Chevrolet Suburban is ready to go anywhere at any time of the year. You can simply take it on the long routes on tarmac roads or take a trip on the wild side and take it off-roading and go as the crow flies. You will have an immense amount of fun and joy on your trip without any compromises of seating capacity, luxury or safety. You will know that you are In a tough, rugged and with all that, a luxury vehicle which will not disappoint you. The Chevrolet Suburban is a functioning vehicle Large Sporty Utility Vehicle, SUV, is ready to handle any trip you may have planned. The Suburban can be an incredible family rental. It has the roomiest and luxurious interior. You can seat up to 8 passengers in it and no one will complain about the legroom or the headroom of the vehicle. It has a big luggage capacity on top of this, which mean that you will not have to compromise much on what to bring and what to leave behind on your trip. 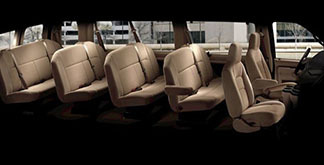 The Chevrolet Suburban offers various safety features. Its solid build can deal with pretty much any climate conditions and with up to seven standard airbags, it is prepared in the event that anything goes wrong. Abundant leg and luggage room imply that you can get ready for any number of the journey, whether its rough and rugged trips, shopping sprees or sporting events. The seats can be set here and there effortlessly as per your requirements. Classic towncar service endeavor to give secure, safe, and a comfortable Lincoln town car service Seattle experience that is memorable. 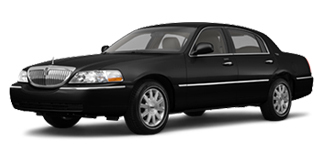 Our Lincoln town car service Seattle is suitable and available for a variety of events. Whether you need a ride to Seattle-Tacoma International Airport, go to a corporate meeting, want a luxury ride to your prom or only a night out on the town. Hire Classic towncar services by calling us. You can also book our services online. With Lincoln town car service Seattle, you can experience elegance, style, and comfort. Numerous limousine services have the same town cars, however, they don't have similar characteristics with regards to client services. Over the years, we have acquired a full understanding of what a high-quality rental service should offer. We have hired the most professional staff who have a keen knowledge of how to understand and satisfy a customer’s needs. We are really committed to our clients. We always listen and understand what our customer’s requirements are and we always satisfy them completely. We have made our reservation process very secure and simple. From the time you get in contact with us, you will know that you are dealing with an honest and safe town car service provider. We have the best professionally trained drivers available anywhere else. When you meet them and ride with them, you will surely appreciate the difference between the quality of service which is provided by other towncar services and the Classic towncar service. We have provided a safe, secure, comfortable and dependable service to all of our customers throughout the years. This is the reason why most of our customers are returning customers. We have worked and are working to earn a high reputation. Our service is ideal for the people who prefer town car service overtaking the local transport or traveling in their own vehicles and spend time worrying about traffic, parking etc. Once you specify how and where you would like our drivers to pick you up, you may expect that you will get the same great, precise and secure transportation every time. Are you traveling from somewhere via airplane? Just hire our services and give us the basic details like your flight number and your time of arrival and our professional drivers will be there to pick you up from the airport in time to take you to your destination in a safe, secure and comfortable manner. Our driver will call you when your plane lands to tell you about the details of where to meet him. Once you land, our drivers will take care of your luggage. All you have to do is get in our vehicle and relax and let us do all of the work for you. Classic towncar service offers the best in town prom transportation service. We all understand and know the importance of prom for high school students. It is one of the most important events in a high school student’s life. We can make sure that your prom evening goes flawless. When you consider leasing a vehicle. There are numerous makes and models, which strike a chord and you are most likely to get confounded and blended recommendations and advice. When you select a make, at that point comes the topic of which model you ought to get. Each makes an assortment of models, which are appropriate for everybody's necessities or requirements. Yet at the same time, there are still some trademark contrasts in the middle of each make and model. The word Hyundai means 'advancement' in the Korean language. As the name outlines, it is safe to state that even since the beginning, Hyundai has been known to make its vehicles fulfilling the requirements of the modern world. Hyundai has been making inventive and modern day vehicles continuously. Hyundai has arranged and manufactured a variety of engaging and safe vehicles. All of these vehicles give a remarkable blend of constancy, class, security, eco-friendliness with eye-striking looks and style which makes this brand a champion among the most brands on earth. Hyundai dependably centers around the wellbeing, comfort, features and sensible costs. Everywhere throughout the world, Hyundai is perceived as a standout amongst the best. Classic towncar service offers you Hyundai Equus rental. 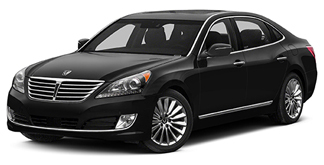 Hyundai Equus is a top of the line luxury vehicle that requires no introduction. The Equus inclines toward the luxury side of the line that because of its crisp handling capability, the excellent comfort level and isolated ride. 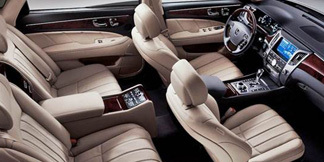 In terms of seating and comfort, Hyundai Equus rental has a very surprisingly spacious, finely leather trimmed interior which offers sufficient space for its passengers and still has decent luggage capacity. 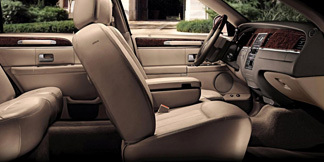 You and your guests will feel comfortable and safe inside the Hyundai Equus. We can guarantee that the Hyundai Equus is a safe vehicle because it does great in IIHS crash-testing and its latest model incorporated some of extra passenger safety features. Blind-spot monitors are standard. Our Hyundai Equus also has there are a head-up display and a surround-view camera system. 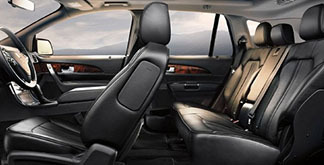 Hyundai Equus also comes with Nine airbags (including a knee bag for the driver), front-seat head restraints and brake assist are also included. Considering all these things, when you get into our Hyundai Equus rental, you will feel a sense of security, safety, and comfort. On top of the safety and security features, Hyundai Equus also has many luxury features which include double 9.2-inch screens on the back seats, an excellent sound system, climate controls power door closures, a power rear seat, cooled rear seats, a cornering camera, power side sunshades, and a heads-up display. Mileage evaluations for the Equus are 15 mpg in the city and 23mpg on the highway. 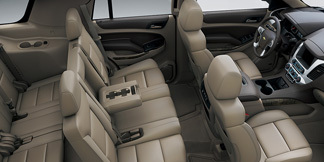 The Hyundai Equus has all these amazing safety, security and luxury features. On top of these features, Classic towncar services give you its own high standard services. All of our drivers go through a solid background check. They also have to go through regular drugs test. All of our drivers have to be legally licensed. We have professional staff who are more than capable of handling your requests. If you are planning to come to Seattle for business or pleasure and need airport transportation. Or you are simply planning a sightseeing tour. There are a lot of places for you to visit with our Seattle ground transportation service. Some of the main attractions of Seattle are; Seattle Center & the Space Needle, Pike Place Market, Chihuly Garden, and Glass, Museum of Flight, Olympic Sculpture Park, Woodland Park Zoo and MOHAI: The Museum of History & Industry. We offer ground transportation in Seattle for people to enjoy these magnificent places. Whether you are visiting Seattle for business or pleasure, you have a couple of options available to go on a sightseeing trip of Seattle. You may hire a taxi and go on the trip or you can rent a private cars service or a chauffeured car service Seattle and enjoy the trip in luxury and comfort. 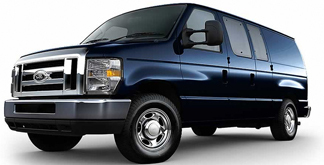 There are many services available in Seattle, which offer you Seattle ground transportation service. One of the top reputed companies who provide Seattle ground transportation service is Classic towncar services. We have a wide variety of vehicles available in our fleet. You can choose the vehicle which suits you the best as per your need and requirement. One of the most luxurious vehicles we have in our fleet is the Lincoln MKT Town car. 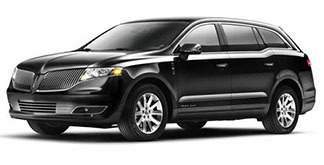 Lincoln MKT is a standout amongst the best vehicles offered by us, for your tours and travels. Many of our customers choose this vehicle for a luxurious and comfortable trip or journey. You can rely on this car for a safe, comfortable and luxurious trip for you and your family or friends. Most of our cars have been regarded as the most luxurious vehicles since 2009. Many people refer to us as a classic American town car because of the heritage and history of our ground transportation service among all the rental companies. We surely have a number of both classic and modern car and every vehicle we provide is up to the mark. On a single booking, you can get our car hire service Seattle on very reasonable price. You can hire this car for all of your travels and tours. All of our vehicles have one of the best features of the top and modern luxury vehicles. The positive reviews of thousands of customers are proof of their satisfaction with our cars. These vehicles have top safety features as well. The vehicles we offer are pure beauties from inside and outside. All of these qualities make us one of the ideal choices for every occasion, for example, proms, birthday parties, tours, and weddings. You can also rent this car for club trips, business transportation and a night out. To rent our vehicles, contact Classic towncar services 24 hours a day, 7 days a week.